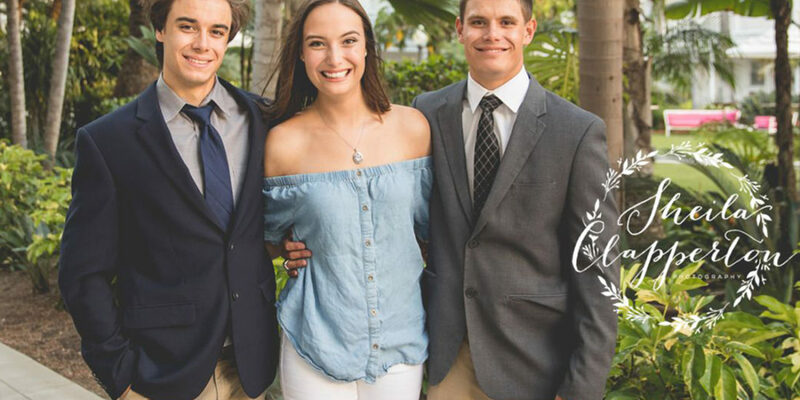 Meet these gorgeous high school senior triplets along with their equally beautiful mom and dad! 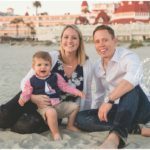 We’ve known this family for a few years, since both husbands are in the US Navy and we all moved to Coronado around the same time. 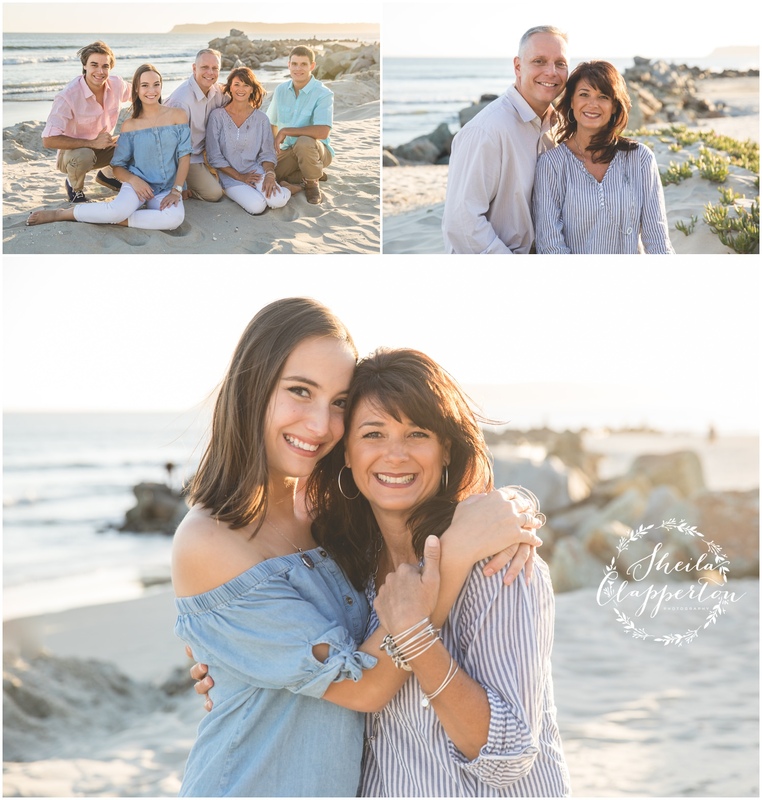 High school graduation, an upcoming empty nest and a pending move with the Navy prompted mom to get in touch to schedule a portrait session with me. 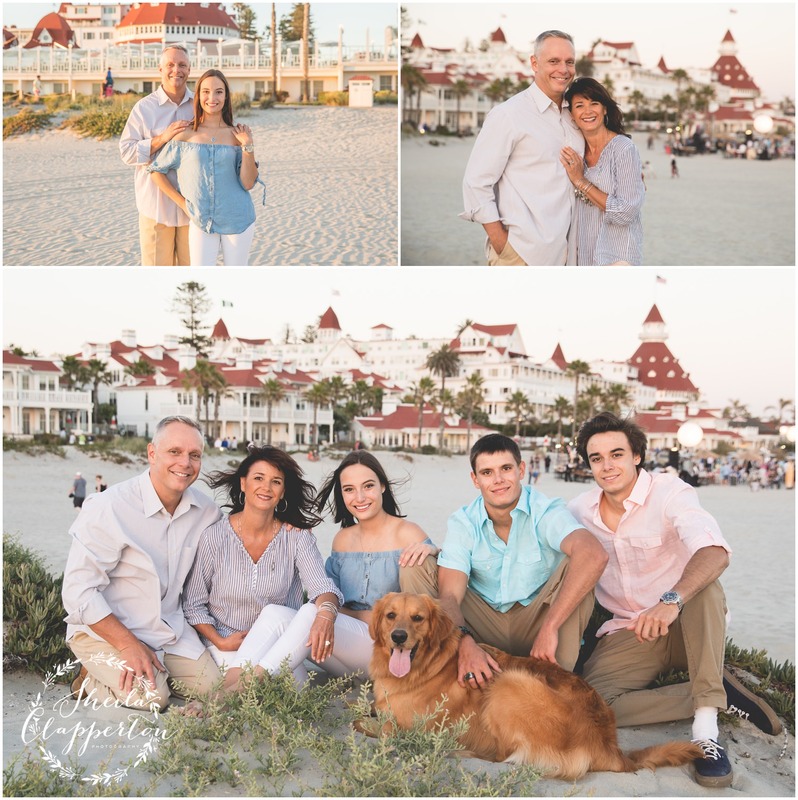 We met in the interior courtyard at the Hotel Del Coronado to start with a few senior shots and to capture a few cap and gown moments. 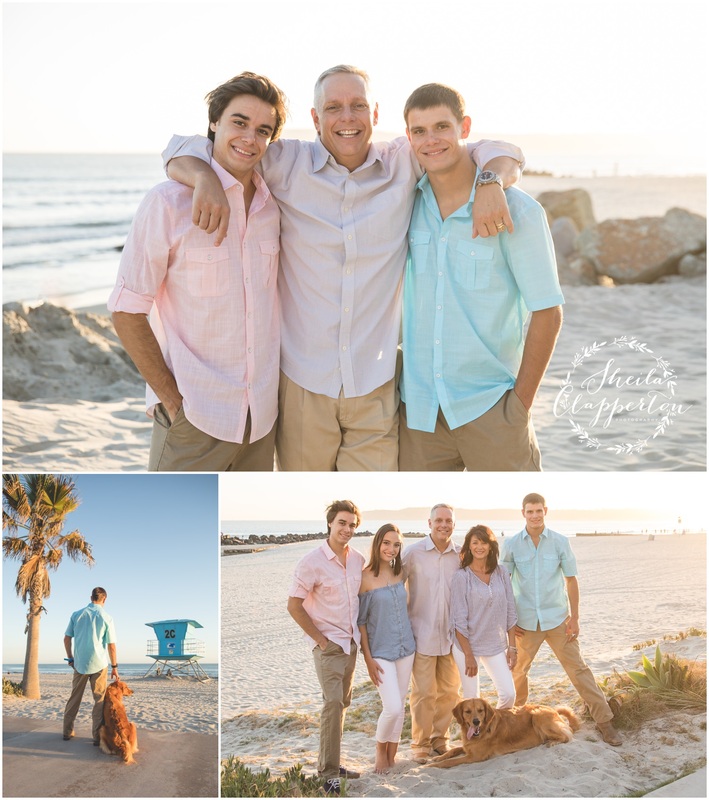 After a quick outfit change, everyone headed out to the beach to wander and enjoy the sunset. 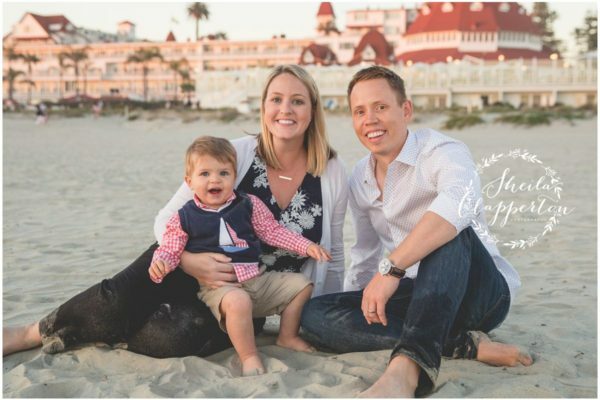 Their pup was even able to join them in a few shots. 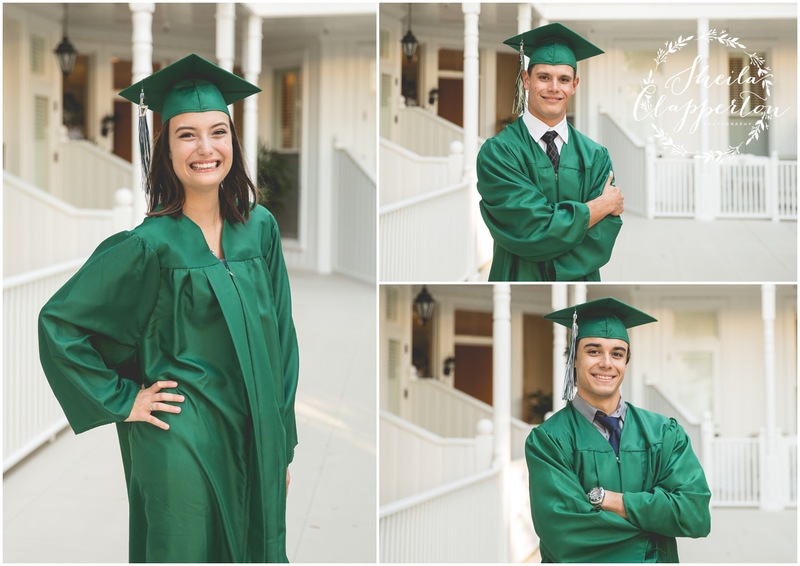 Great things are sure to come for this family of five — daughter is going to my alma mater (Roll Tide! 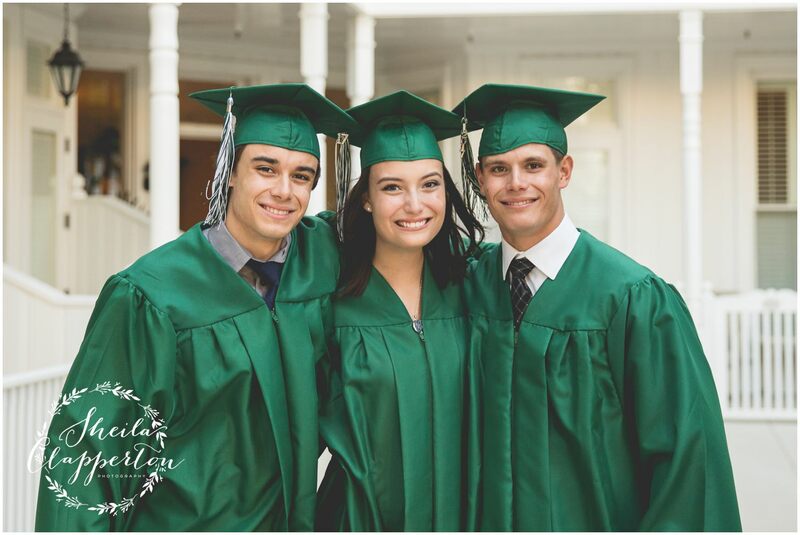 ), one son is off to school in Arizona, the other plans to follow in dad’s footsteps, mom and dad are off in a few months to continue on the track of being upwardly mobile in the Navy. 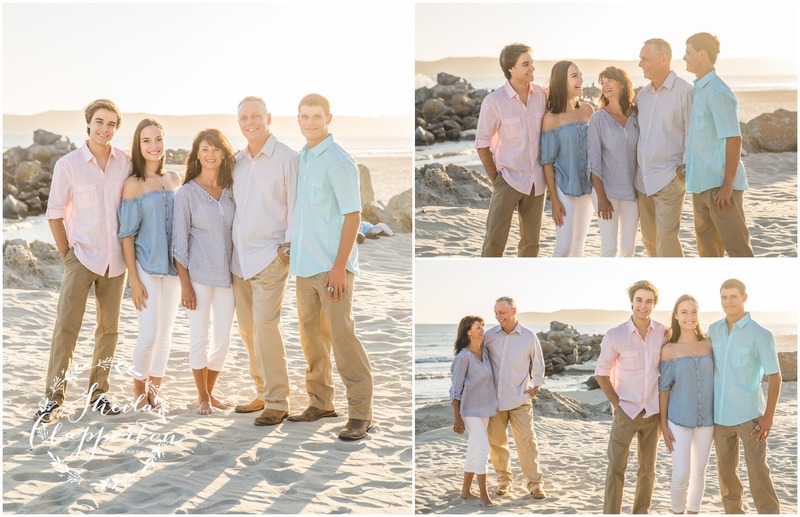 Congratulations to all five of these superstars — enjoy a few moments from my time spent with this gorgeous family! 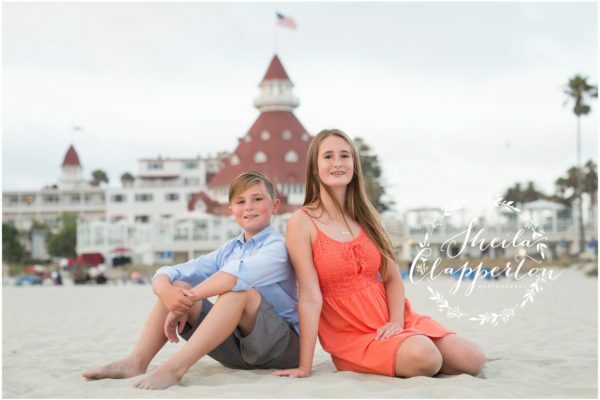 Sheila Clapperton Photography is located over the bridge from San Diego, CA in Coronado, CA. 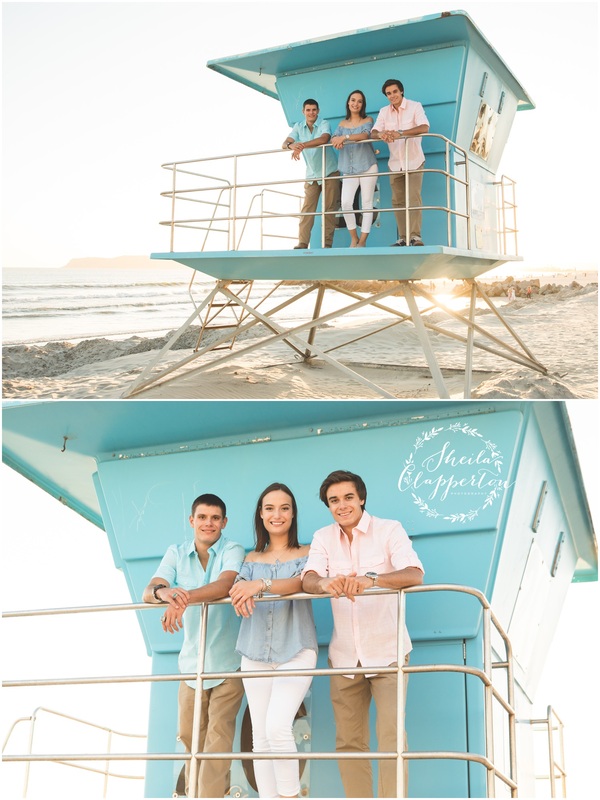 Sheila Clapperton is Coronado’s premier photographer specializing in custom family beach photography as well as senior portraits. 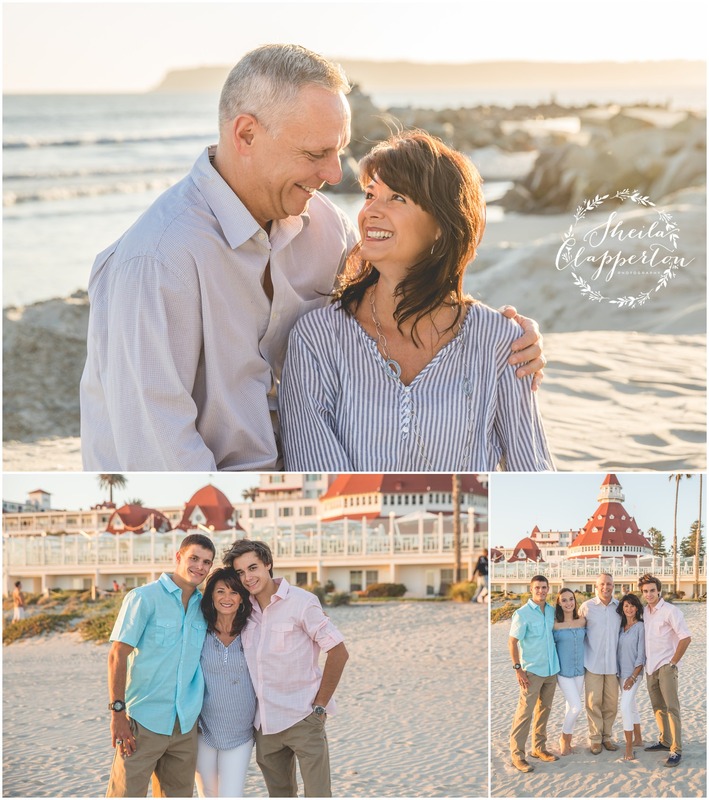 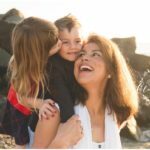 As a professional photographer, Sheila captures family portraits, intimate weddings and military homecomings and ceremonies in Coronado, California and all areas surrounding San Diego, California.